The app contains the latest information on what is happening in the park and is a good tool to help you plan your day. 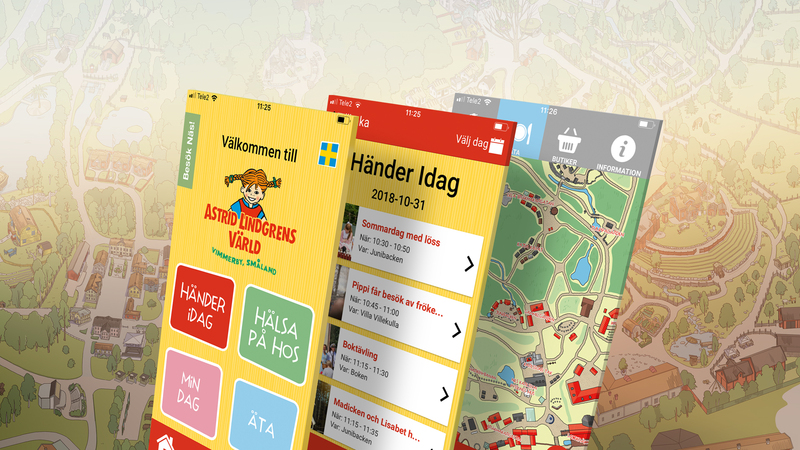 It contains a digital map, so you can easily see where you are and where you are going, and descriptions of the different places in Astrid Lindgren’s World. You can put together your own programme for the day by marking the performances you’d like to see. It also has descriptions of the content of all our performances, and menus and opening times for the restaurants, cafés and kiosks.